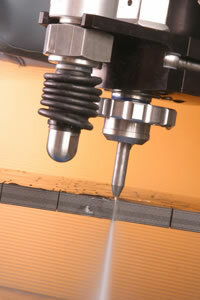 We offer the top-of-the-line waterjet machine by Flow, a leader in the industry. This waterjet is ideal for a range of standard and delicate cuts, whether it be etching glass or cutting up to 7 inch thick titanium. UltraPierce - Our UltraPierce assist technology is ideal for cutting brittle and laminated materials such as marble, stone, glass, and composites. 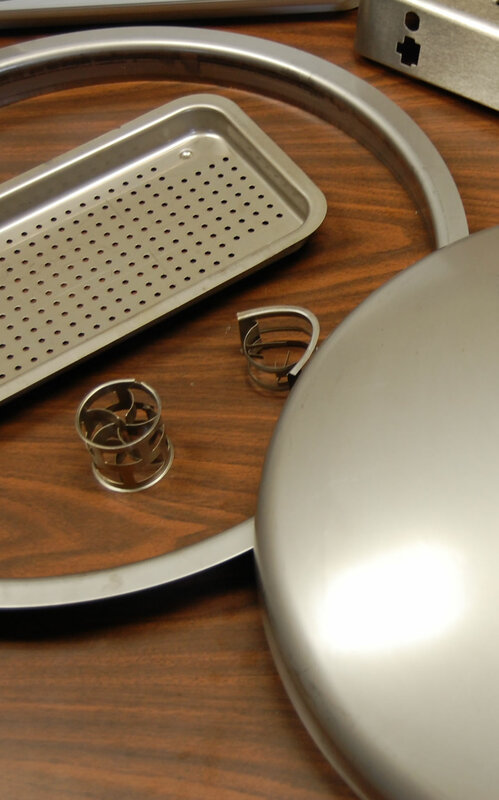 With UltraPierce, fragile materials pierce easily, saving time and raw material, and enhancing the quality of the finished product. We also house the 87,000 PSI HyperPressure Technology. This is a highly advanced and robust pressure system. 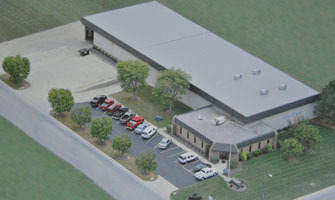 Two major benefits of this techonology is that it cuts faster and increases production. The HyperPressure pump, called the HyperJet 87i, is rated at 87,000 PSI - which is drastically more pressure than the traditional 44,000 to 60,000 PSI Ultra high-pressure system. The increased waterpressure significantly increases the cut speed. As the pressure goes up the stream velocity increases, delivering greater cutting power density. 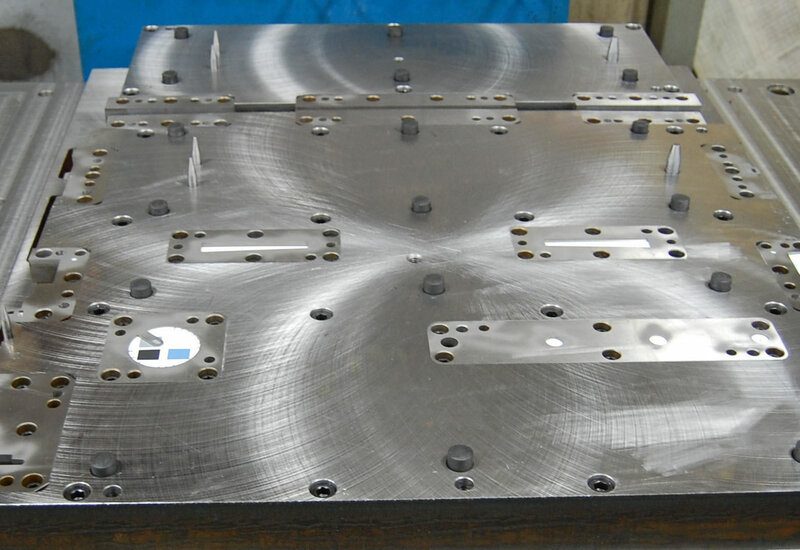 From stone to aluminum, steel to exotic composites, increases of 30-50% in cutting speeds are a result of accelerating the abrasive waterjet stream to the fastest level available. 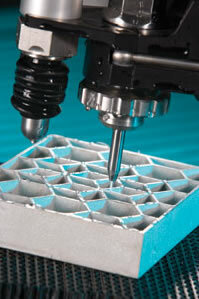 Regardless of material or thickness, cutting speeds increase with higher pressure. 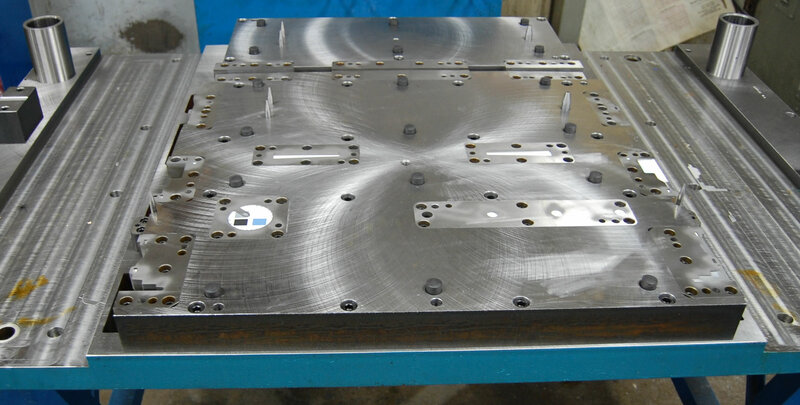 A direct result of faster cutting, more parts cut means a noticeable increase in production.